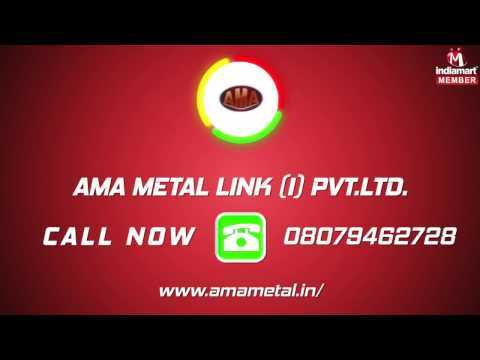 Founded in the year 2004, Ama Metal Link (I) Pvt. Ltd. is continuously excelling in the area of manufacturing and wholesaling high-quality Bare Copper Braided Connector & Bare Copper Stranded Connector. We provide a wide variety of Bare Copper Braided Connector, Bare Copper Stranded Connector and Bare Copper Foil Connector which are known for precisely engineered design and excellent functioning. Our products find large scale application in many industries like electrical industry and manufacturing industry. These products are utilized in the arc and induction furnaces, welding machine, plasma equipment, vacuum circuit breakers, bus-duct, heating, welding, high current and high-frequency equipment. The goodwill of our company is encouraged by our technological adeptness, accurate research and development activities. We have earned a large number of clients in our short period and have always aimed to cater to their exact needs on time.